Full payment will be expected at least 30 days prior to the workshop/seminar. 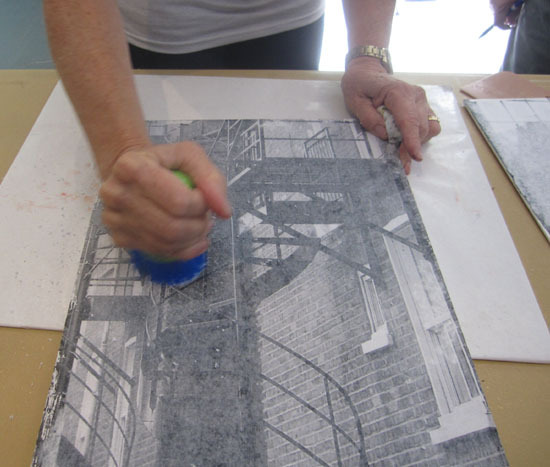 Once members have signed up, the workshop will be open to other artists' associations. The workshops are expected to be popular so they will fill up quickly. Cancellations must be made at least 2 weeks prior to the workshop. All members will receive a full refund, while guests will receive a 50% refund, as long as they do not cancel less than 2 weeks prior. After the two-week deadline, no refunds will be given. Picture may not be used for any purpose without permission from the artist. Please click on the picture above for a larger view. 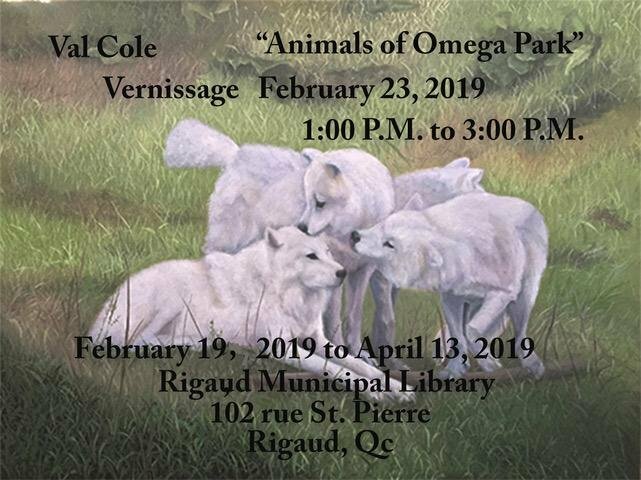 Val will be exhibiting some of her paintings at the Rigaud Municipal Library from February 19 to April 13, 2019. Vernissage is Saturday, February 23 from 1 to 3 pm. The library is located at 102 rue St. Pierre in Rigaud. Please drop by when you have a chance - it is an exhibition not to be missed! 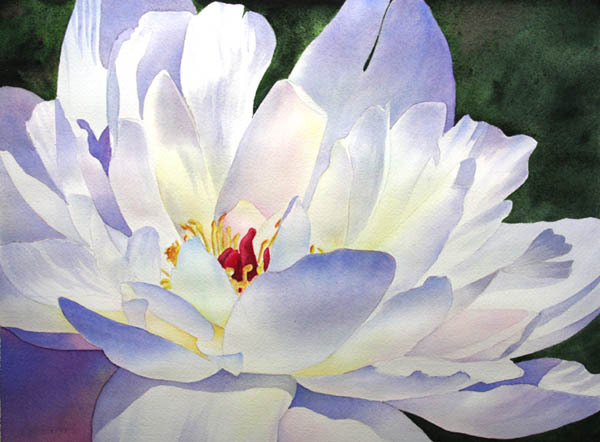 Sara Barnoff will be doing negative painting watercolor flowers with us in May 2019. She uses vibrant colors in her paintings which mimics a garden in full bloom. This will be a 3-hour workshop, limited to 14 participants. Cost to active members is $10, associates $20, and guests $30. Priority to active members until April 2, 2019. Sign up with Joan now! Please click here for a list of supplies needed for this workshop. Pictures may not be used for any purpose without permission from the artist. 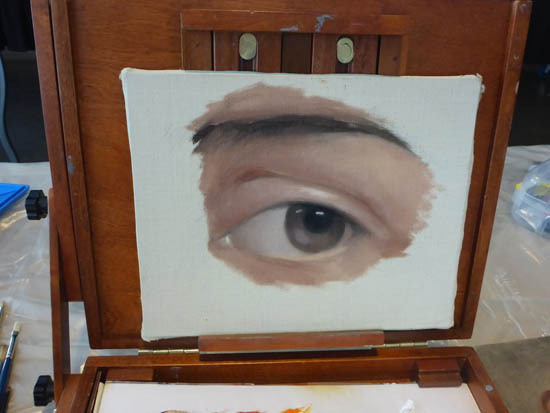 Lisa Marie Boissonneau joined us in April 2019 to demo painting a modern acrylic. 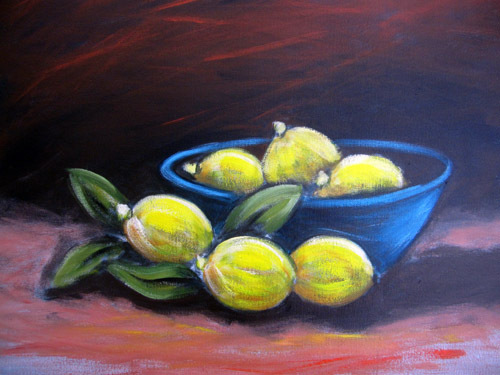 The workshop started out with drawing techniques to achieve a symmetric bowl of lemons followed by free flowing painting with acrylic paints. Please click on the pictures above for a larger view. Please click here for a slideshow of her workshop. 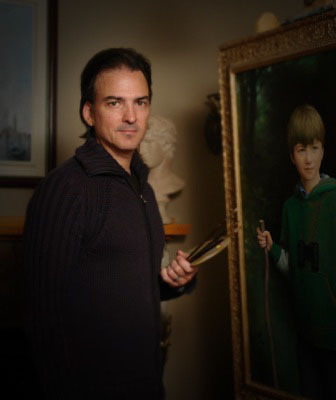 Steven Rosati was with us March 5, 2019 to demo how to draw and start a portrait painting. It was a 3-hour workshop, enjoyed by all the participants. Please click here for a slideshow of his workshop. 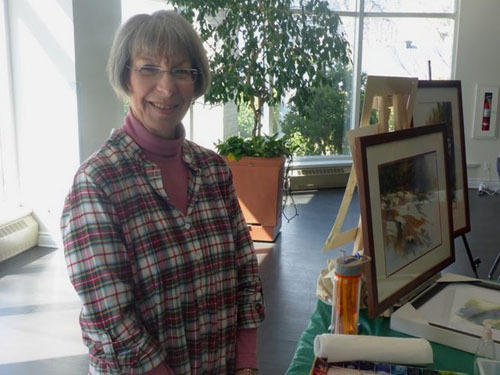 Micheline joined us in November to demo an abstract painting in acrylics and also explained to us what makes a good abstract. 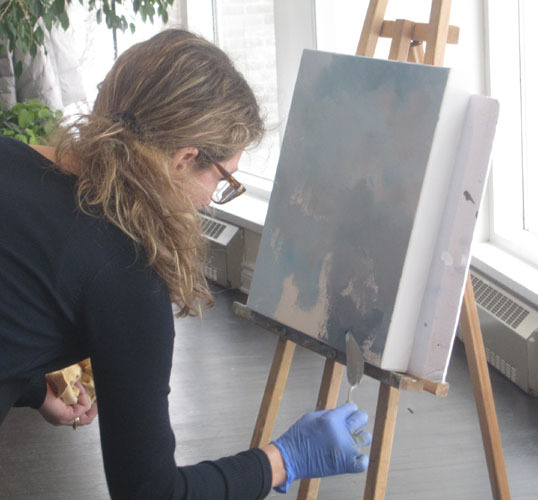 She then took us through the steps in creating our own unique abstract painting. 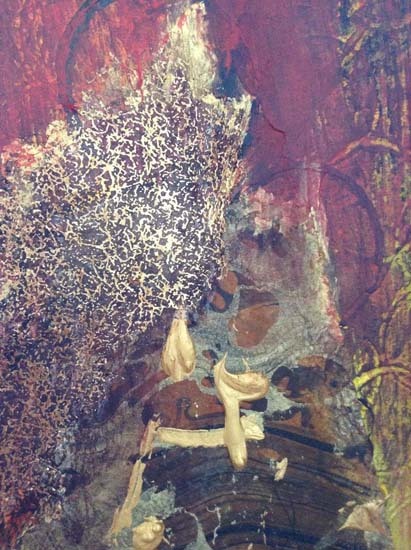 For more information about Micheline and to see her paintings, please visit her page at michelinesansregret.com Some of her abstracts are on this site, by clicking on the Abstraits - Abstracts link. 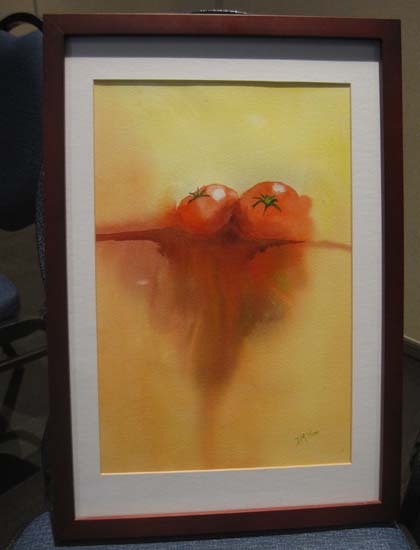 Donna joined us October 2 to do a watercolor demo and workshop with us entitled Drippy Fruit. Everyone had fun creating a unique drippy fruit watercolor. 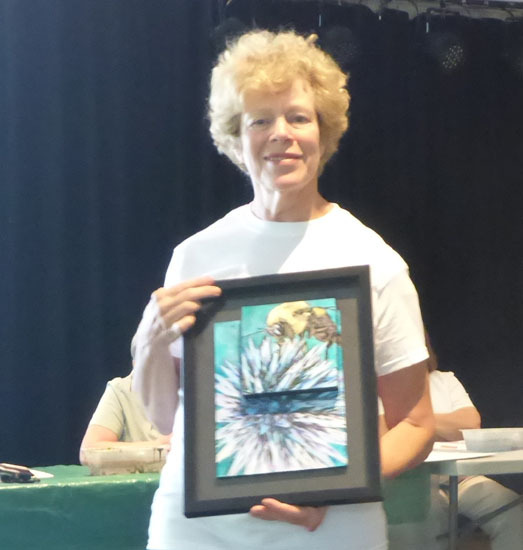 Linda joined us on September 4 to demo two image transfer techniques. We then all had fun doing an actual image transfer on an 8 x 10 inch canvas board. Linda uses a computer, her own photography and the technique of image transfer to incorporate her life experiences into her work. 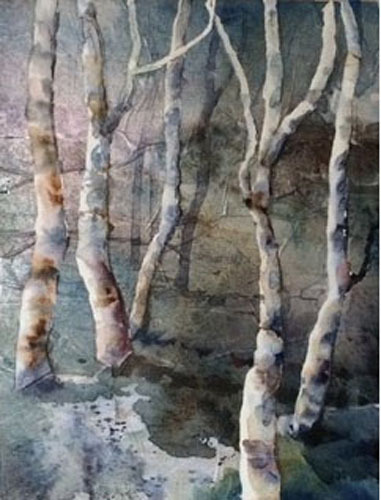 Renée Mizgala is a watercolor artist. 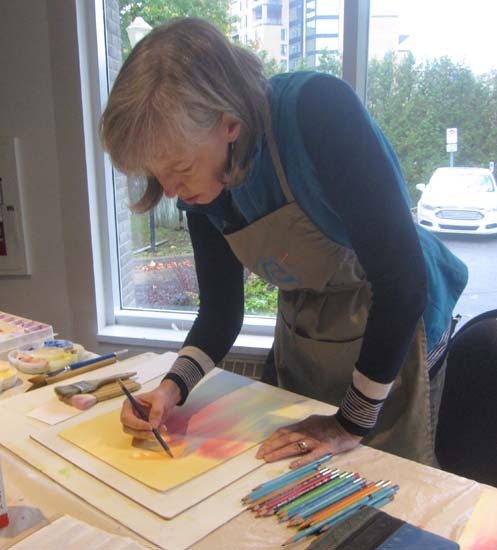 She is presently experimenting with a variety of papers and joined us May 1, 2018 to demo watercolor painting on yupo paper. 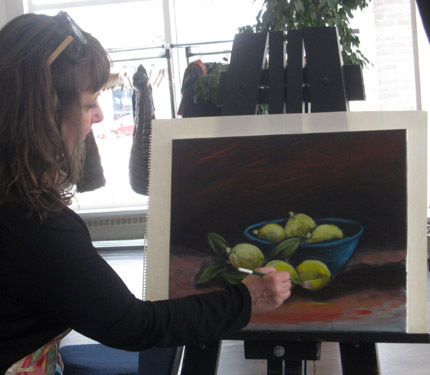 After her demo, participants were able to experiment with all the techniques she had showed us. 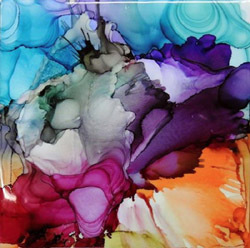 Céline Poirier joined us on April 3, 2018 to demo her alcohol inks techniques on yupo paper for us. It was a fun learning experience as we got to try it out first-hand and experiment with all the techniques she had showed us. 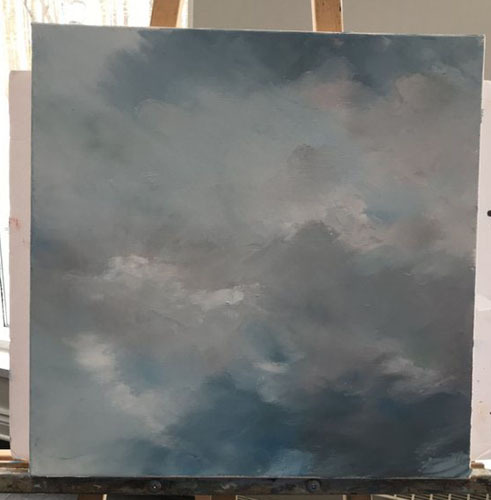 Nathalie Frenière, a visual artist, did a demo of her painting technique for painting clouds on March 6, 2018. Please click here for a slideshow of her demo. 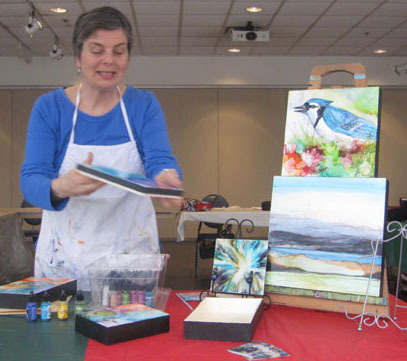 Nathalie is a well-known artist and has her paintings in several studios in Quebec and Ontario. She has studied in France and her knowledge of painting and how to use and mix colors is superb. Her style of painting is abstract impressionism. Steven Rosati again joined us February 6, 2018. 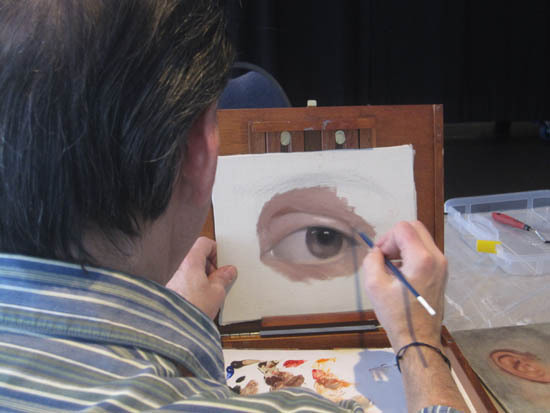 This time he did a demo sketching and painting the human eye and invited us to sketch and paint along with him. He is the Canadian representative for Cobra paints and so was able to share with us many tips and tricks for using water soluable oil paints. Please click here for a slideshow of this demo. Also, the photo Steven used for his demo is available for active members in the Members' Area of this web site. Please click here to see the slideshow of this seminar. Picture posted with permission from Shernya Vininsky. 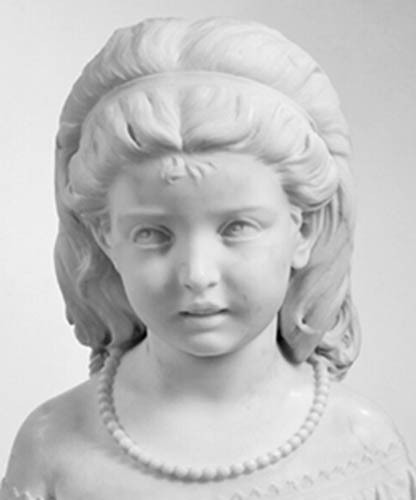 It may not be used for any purpose without permission from the artist. 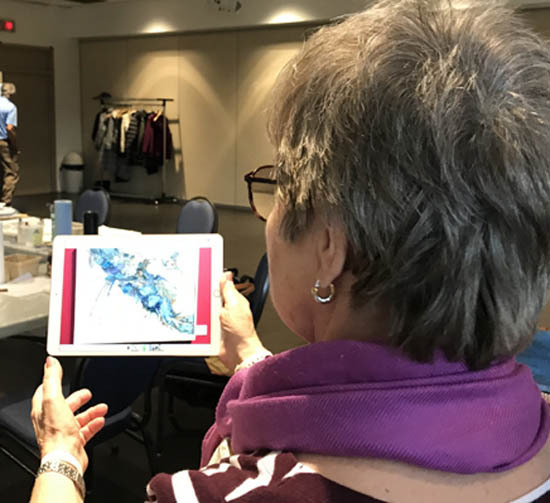 Shernya Vininsky conducted a two-day mixed media seminar with us in October 2017. Please click here to see the slideshow of this seminar. 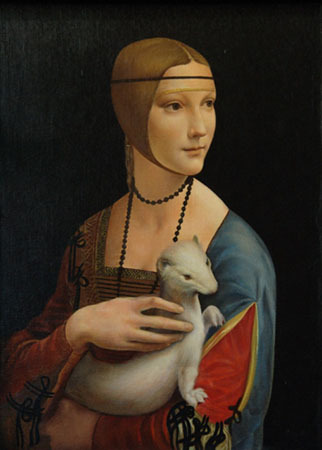 da Vinci's "Lady With An Ermine"
These pictures may not be used for any purpose without permission from the artist. 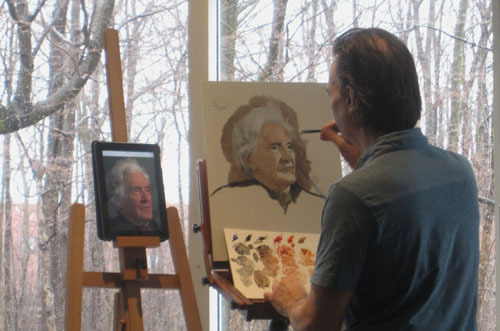 Steven Rosati demonstrated his portrait painting on April 4, 2017. 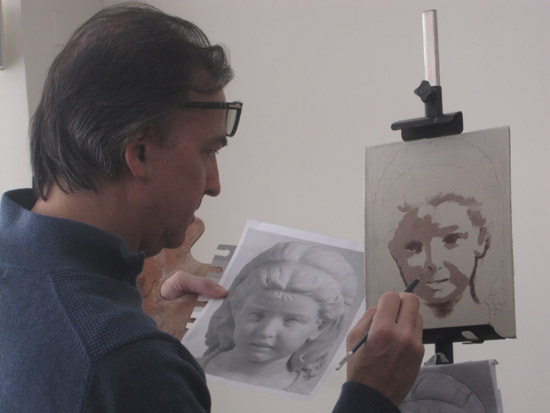 He is a great teacher and artist and it was a not-to-be-missed demo! Please click here for a slideshow of his demo. Pictures posted with permission from Shelley Prior. They may not be used for any purpose without permission from the artist. Shelley Prior conducted a 2-day seminar September 6 and 7, 2016. 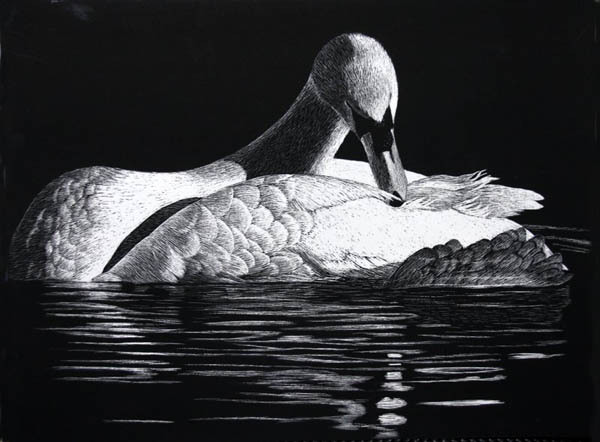 On Tuesday, we painted a watercolour - White Peony - and on Wednesday we did a scratch art - Swan Reflection. Please click here to see the slideshow of this seminar. Barbara Bagshaw taught painting on gourds at the November 2016 Paint-In. Please click on the pic for a larger view. 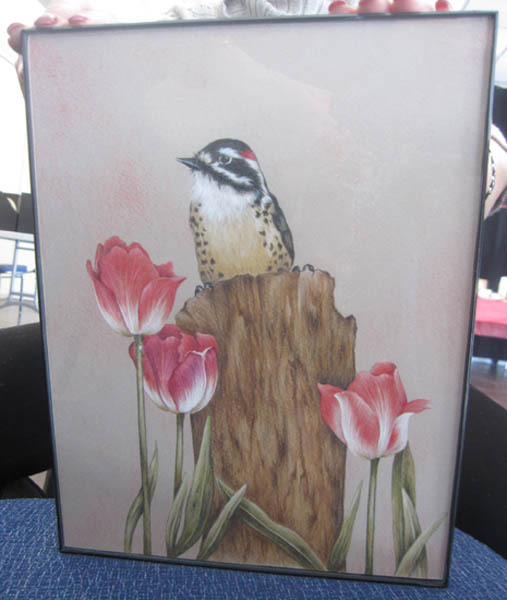 Johanne Jodoin taught this colored pencil woodpecker painting at the May 2016 Paint-In. Please click here to see a photo slideshow of her workshop. 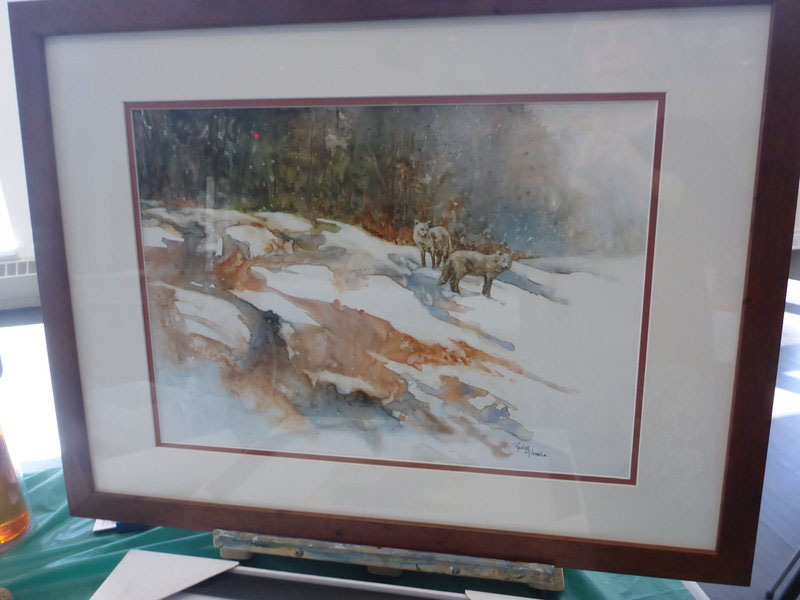 Val Cole taught this acrylic painting entitled "Abandoned" at the March 2016 Paint-In. 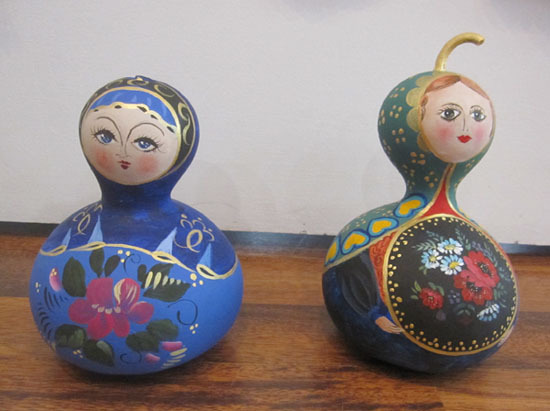 Barbara Bagshaw conducted a workshp on painting Russian style Christmas ornaments at the November Paint-In. 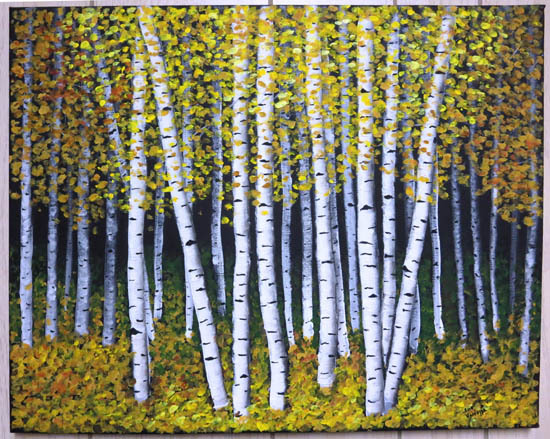 Sue Nardozza taught this acrylic Birch Trees painting at the September Paint-In. 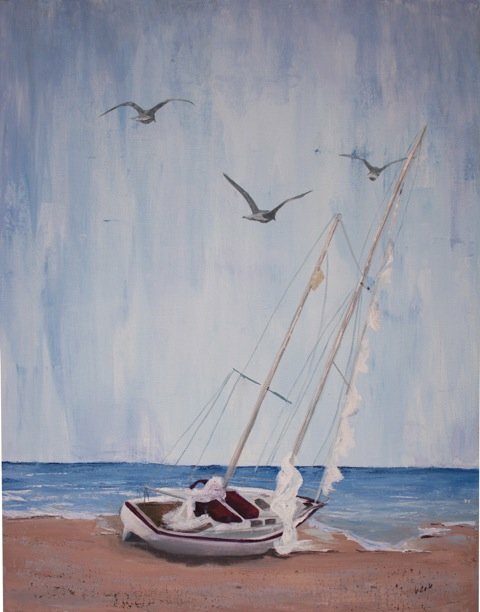 Val Cole taught this acrylic Beach Scene painting at the May Paint-In. This page last updated April 10, 2019.